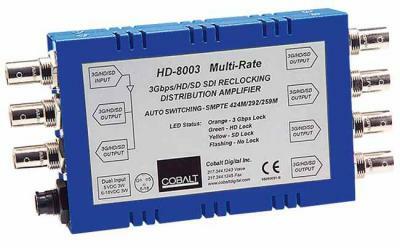 Dual Coax-To-Fiber throw-down converter unit is a new part of the Blue Box group of compact, rugged, and portable converter boxes. Super-easy to use, Blue Box Dual Coax-To-Fiber supports SMPTE 424M, 292M, and 259M as well as DVB, ASI, and MADI audio on two independent coax-to-fiber paths. Auto-mode EQ/reclocking automatically sets to the signal type being received (unrecognized formats are safely passed without reclocking). 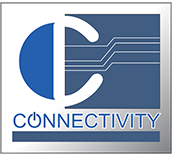 Its wide operating range (from 5Mbps to 3Gbps) flexibly supports most professional digital serial communications. Fully error-free pathological pattern operation is fully compatible with professional fiber video interfaces. The Blue Box Dual Fiber-To-Coax throw-down converter unit is a new part of the Blue Box Group™ of compact, rugged, and portable converter boxes. Super-easy to use, Blue Box Dual Fiber-To-Coax supports SMPTE 424M, 292M, and 259M as well as DVB, ASI, and MADI audio on two independent fiber-to-coax paths. Auto-mode reclocking automatically sets to the signal type being received (unrecognized formats are safely passed without reclocking). Its wide operating range (from 5Mbps to 3Gbps) flexibly supports most professional digital serial communications. Fully error-free pathological pattern operation is fully compatible with professional fiber video interfaces. Cobalt introduces Blue Box Group™ – our all-new line of interface converter boxes that not only offer excellent performance, but also excel to a new level of ease of use and installation practicality. 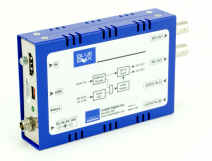 Blue Box can power directly via USB to get its power from video monitors or other equipment. 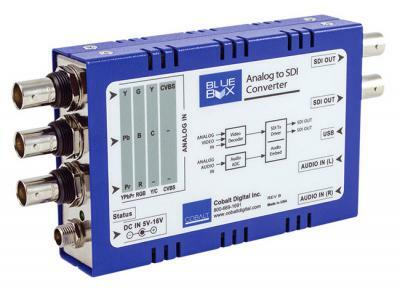 Blue Box Analog to SDI offers CVBS SD or component SD/HD conversion to SDI using high-quality 12-bit A/D conversion, with SD line 21 closed-captioning passed onto the converted stream. 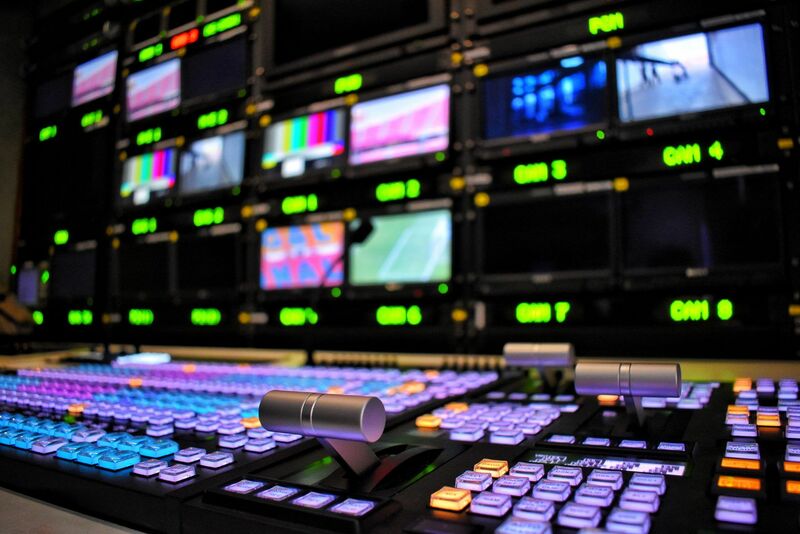 Full support of multiple analog standards such as SMPTE, Betacam™, MII, RGB, and S-video (Y/C) is provided. A stereo analog audio pair can be embedded onto embedded audio channels 1/2 with full 24-bit resolution. The DA-3G-1x6 is a 3G/HD/SD-SDI / ASI multi-rate distribution amplifier that features 3G/HD/SD status LEDs for quick identification of the input bit rate. The unit is fully automatic and supports 424 (3 Gbit), 292 and 259M signals, and is equipped with 1 input and 6 reclocked SDI outputs. (Reclocking on 424M, 292 and 259M-C inputs, all other bit rates are non-reclocking.) The unit supports 1x3 ASI distribution using its non-inverting outputs. BlueBox™ offers excellent performance, and excels to a new level of ease of use and installation practicality. The BlueBox™ 3G/HD/SD Analog Audio De-Embedder provides de-embedding to professional balanced audio at 0 dBFS to pro 24 dBu levels using full 24-bit conversion.